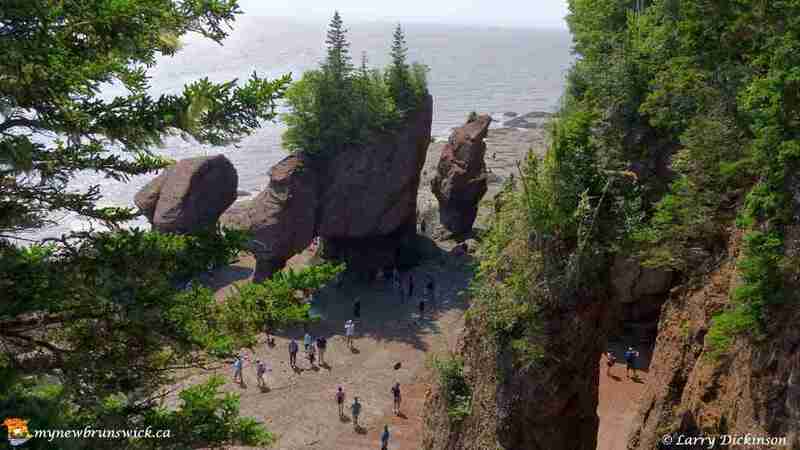 The Hopewell Rocks, also called the Flowerpot Rocks or simply The Rocks, are rock formations caused by tidal erosion in The Hopewell Rocks Ocean Tidal Exploration Site in New Brunswick. 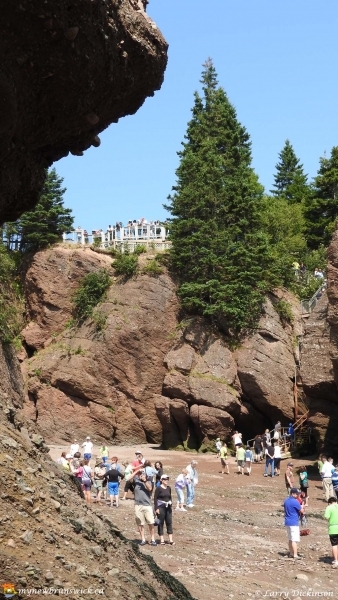 They stand 40–70 feet tall. 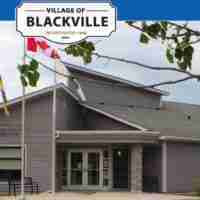 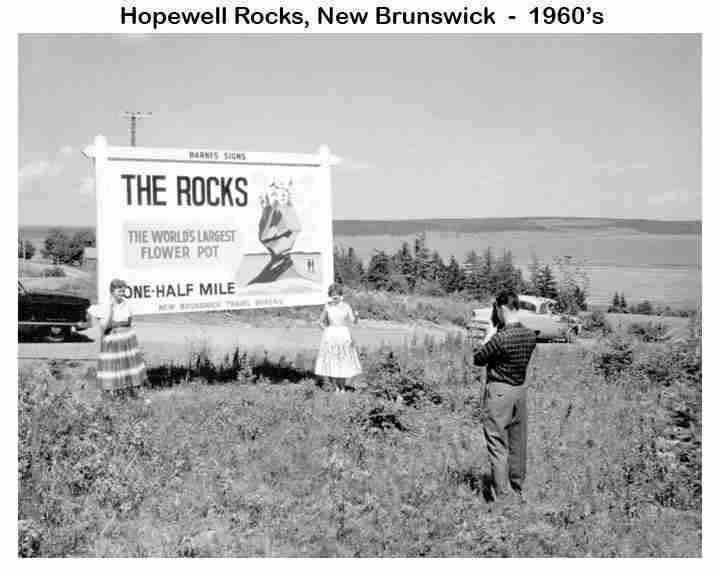 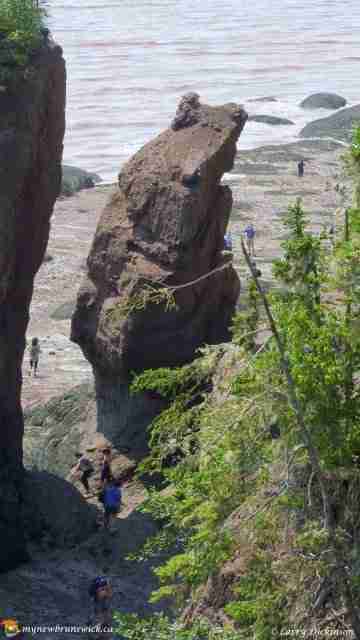 They are located on the shores of the upper reaches of the Bay of Fundy at Hopewell Cape near Moncton. 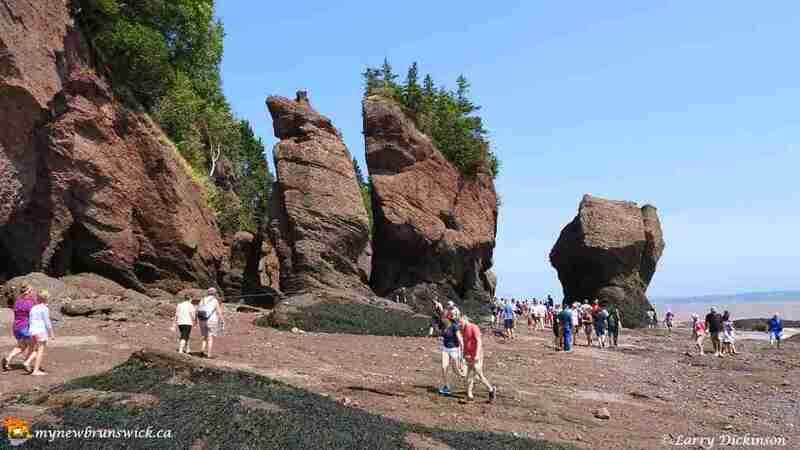 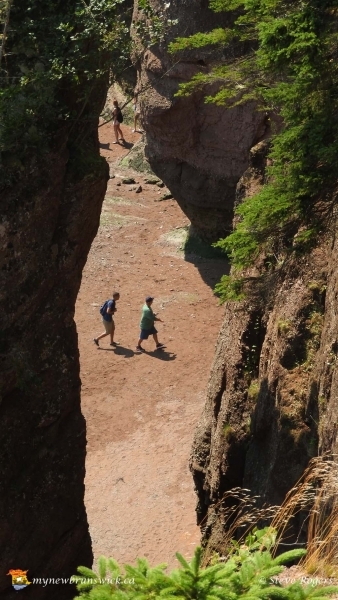 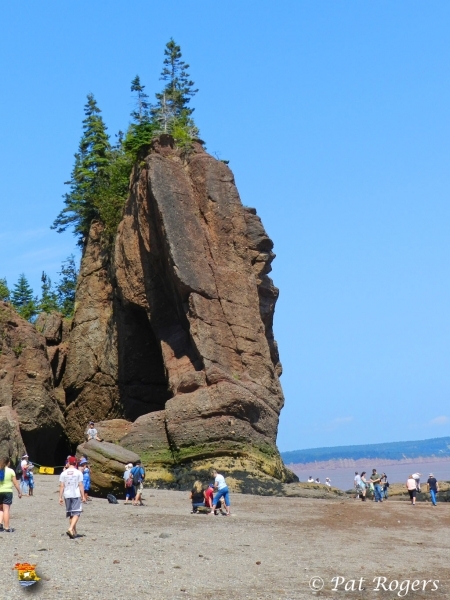 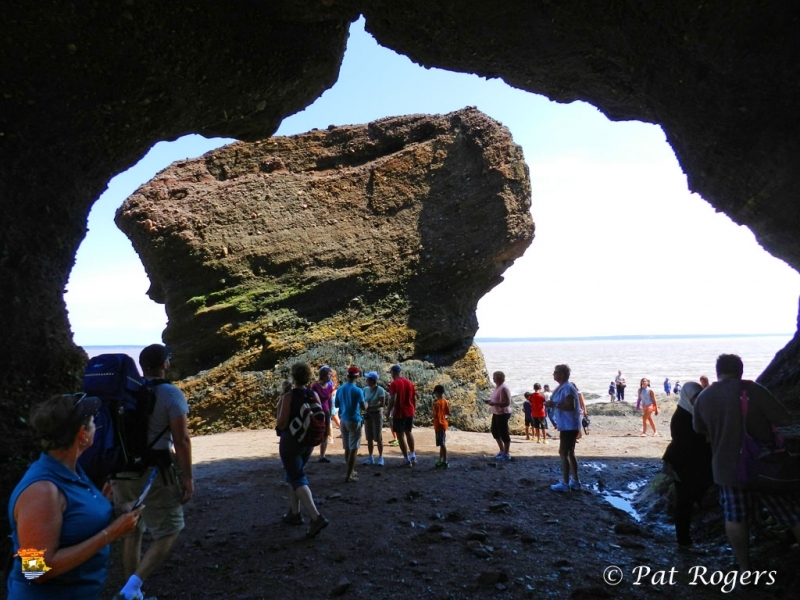 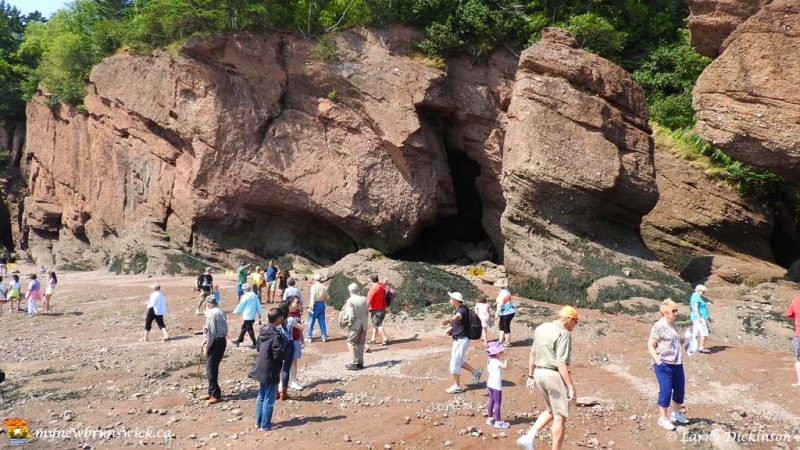 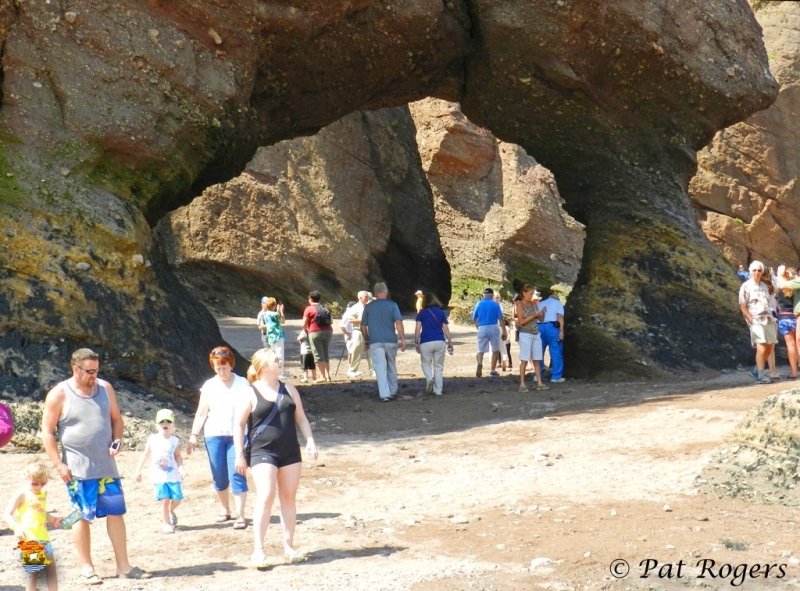 Due to the extreme tidal range of the Bay of Fundy, the base of the formations are covered in water twice a day. 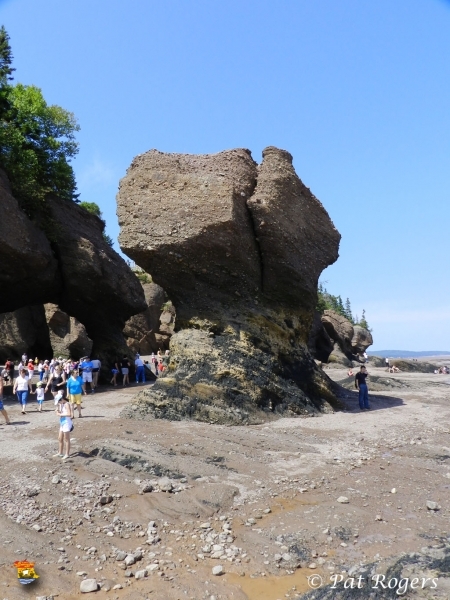 However, it is possible to view the formations from ground level at low tide. 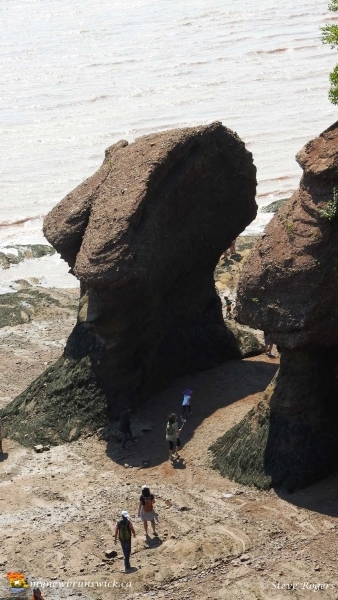 Many of the formations have nicknames inspired by their appearance. 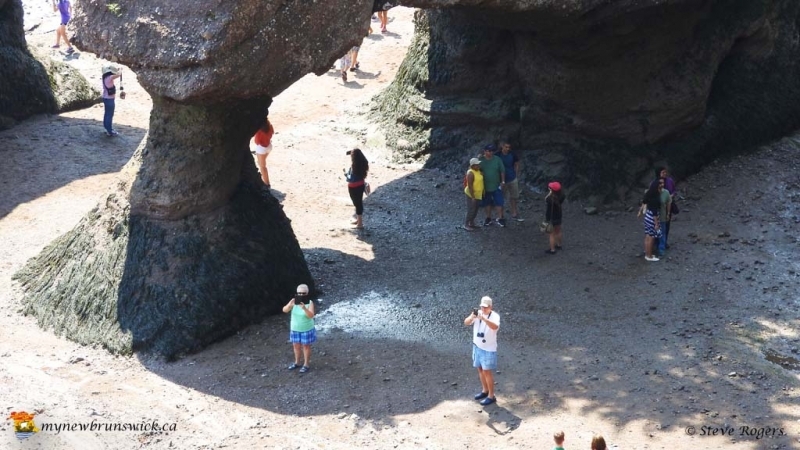 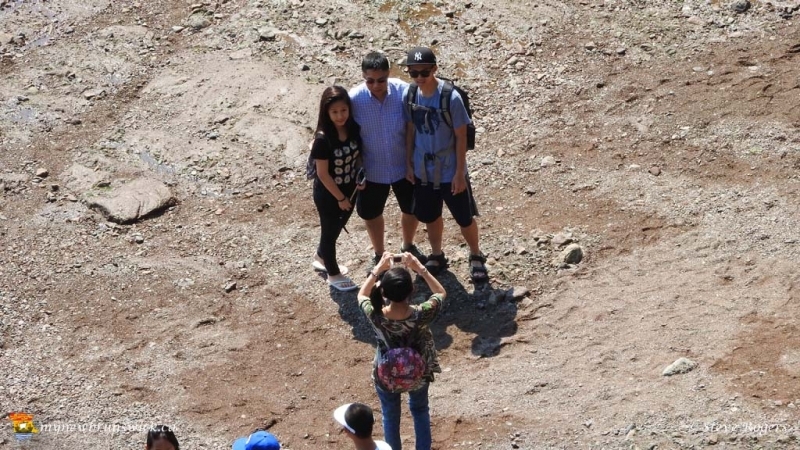 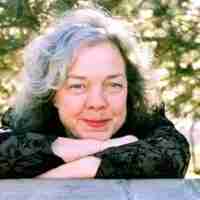 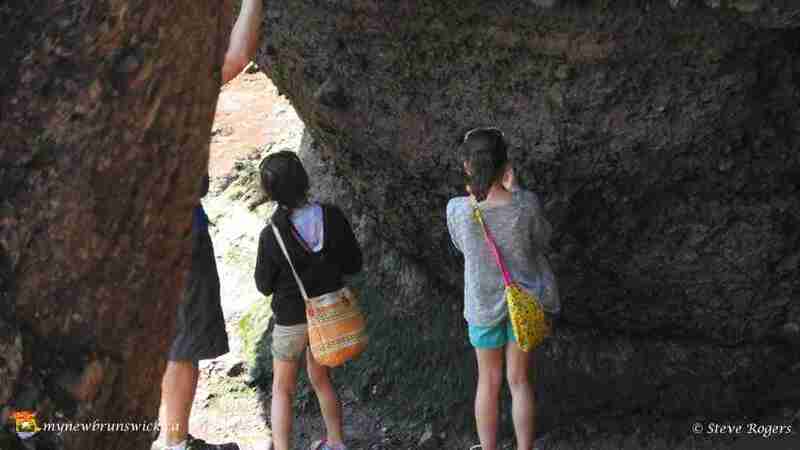 Look for Lover’s Arch, Dinosaur Rock, Mother-in-law and ET, just to name a few. 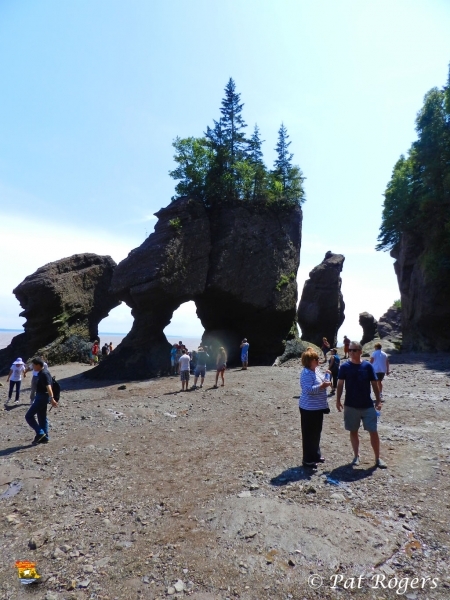 At high tide, these curious formations become small islands, surrounded by water. 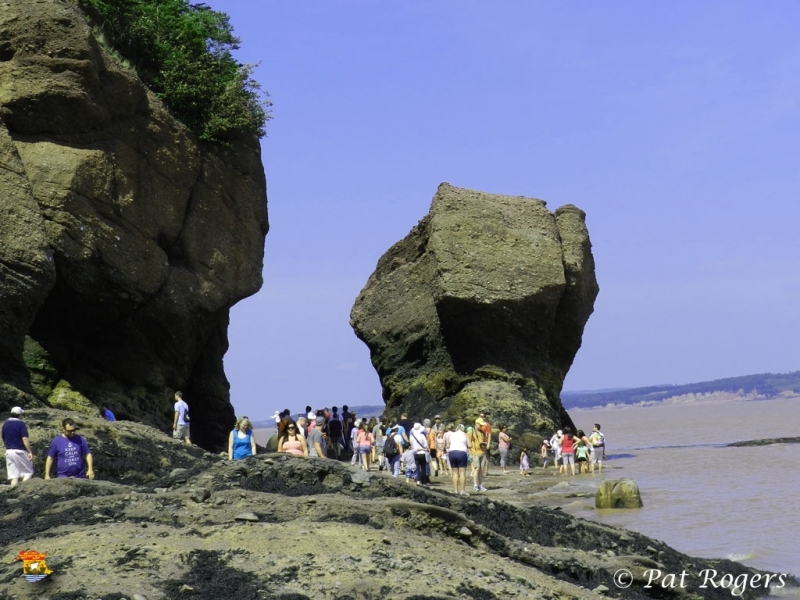 While many people like to explore the flowerpot rock formations at low tide, there are plenty of activities at high tide as well. 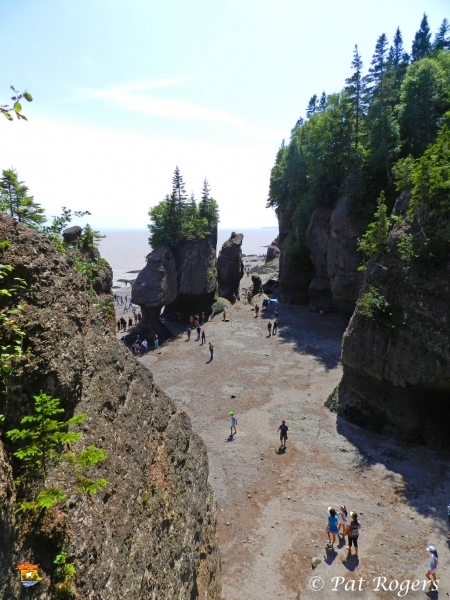 The vast sediment planes in the basin in Fundy supports a variety of biological productivity. 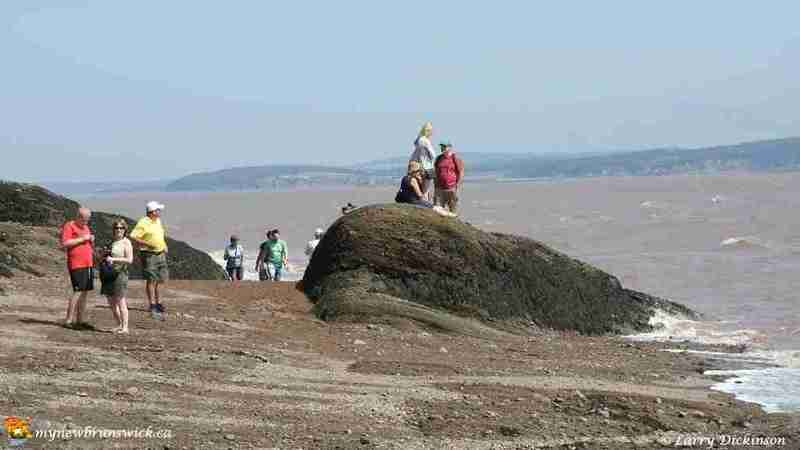 Various shorebirds are often seen flocking to nest and feed in the area. 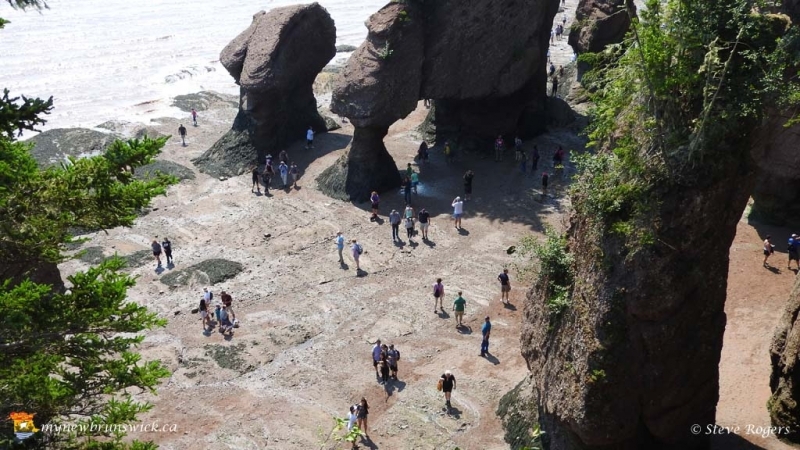 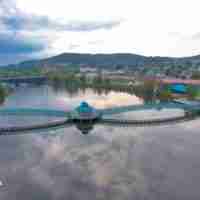 Visitors are advised to stay for a full tidal cycle to get a full appreciation of the tides and formations. 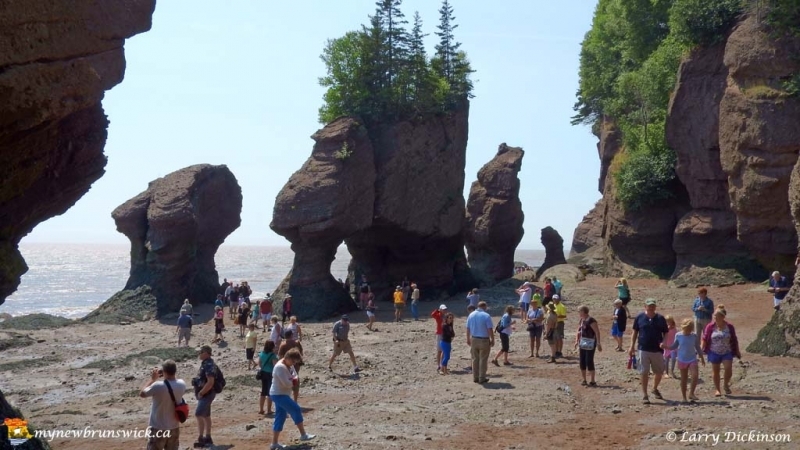 Although the tides vary from day to day, the high tide can be as high as 16 metres (52 ft) giving the Hopewell Rocks one of the highest average tides in the world. 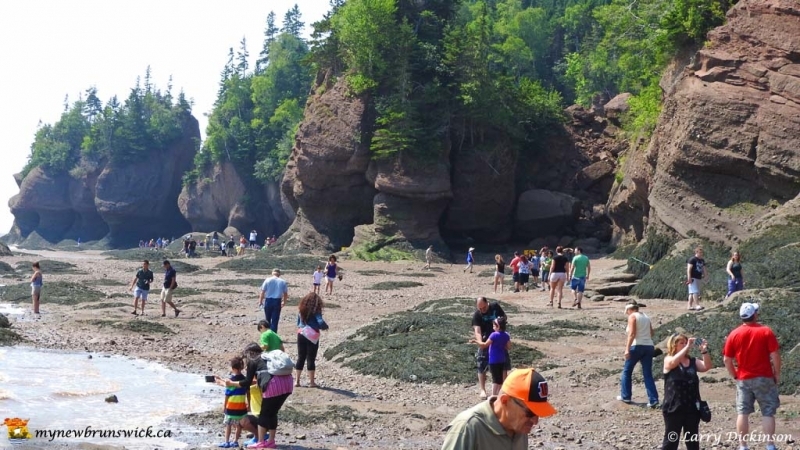 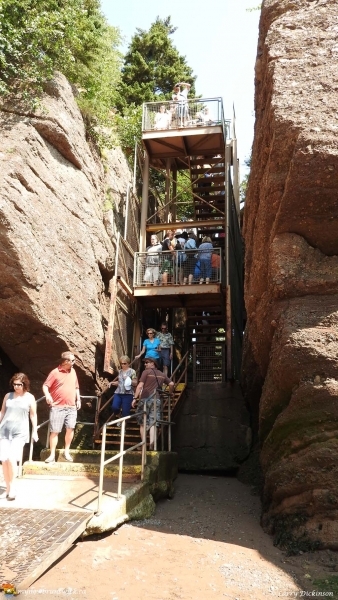 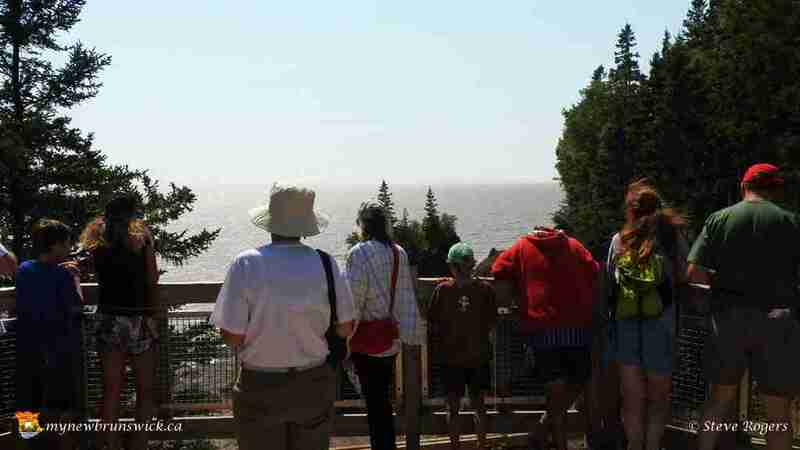 The Hopewell Rocks is a self-directed park, however interpretive staff are located at key areas to answer any questions you may have. 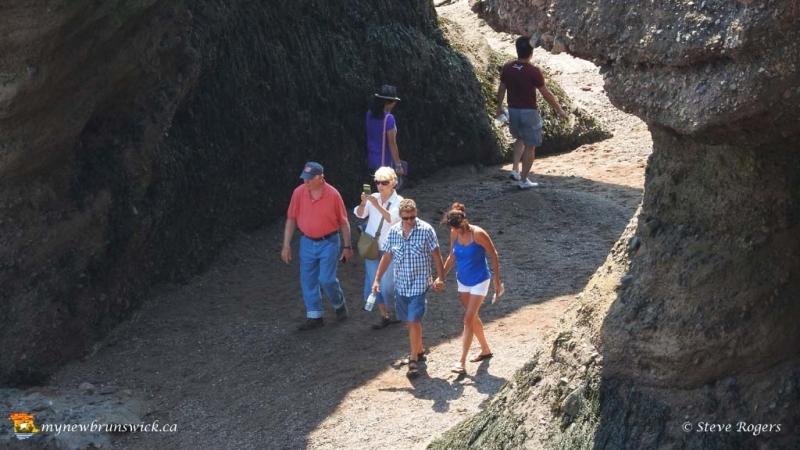 In addition to the opportunity to walk on the ocean’s floor, we have two sandy beach areas at either end of the park and a number of well-marked walking trails. 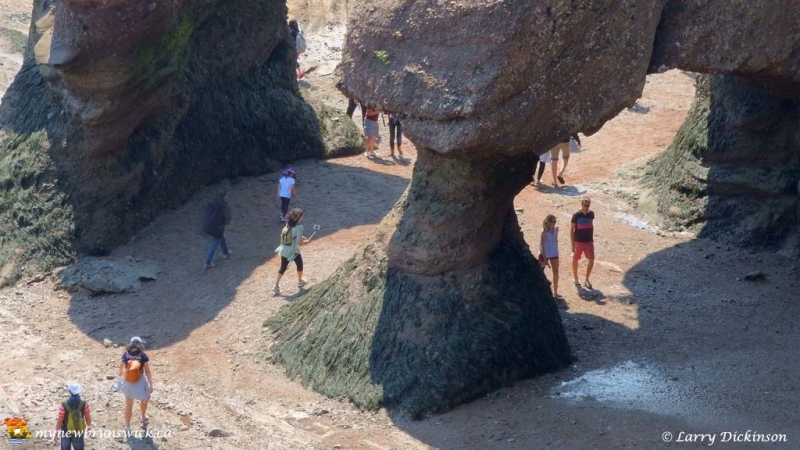 This post has already been read 3457 times!